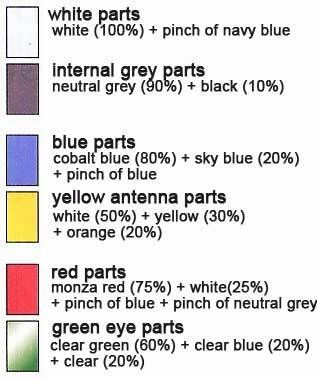 While waiting for paint to dry during my assembly of the Rick Dias MG, I was looking at the color guides for the different scales of the Gundam Exia at Hobby Search. This was in preparation of the Gundam Exia I purchased from HW Japan that I'm hoping will arrive in a couple of weeks. 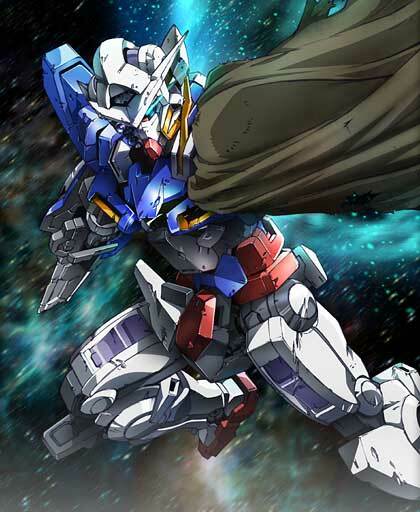 I was able to get the Color Guides by looking at the product pages of the Exia at Hobby Search. 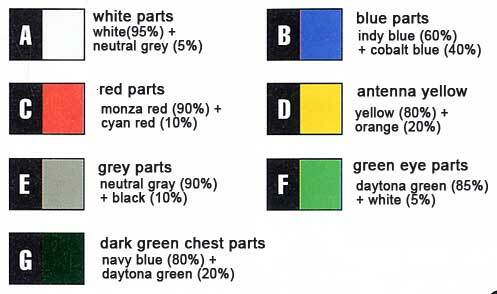 I just looked at the color guides for the 1/60 and the 1/100 scale Exia's and I was particularly surprised at how different they were after I had translated them from Japanese to English. I thought that they would at least come out the same for all scales, considering that they were all being made by Bandai. 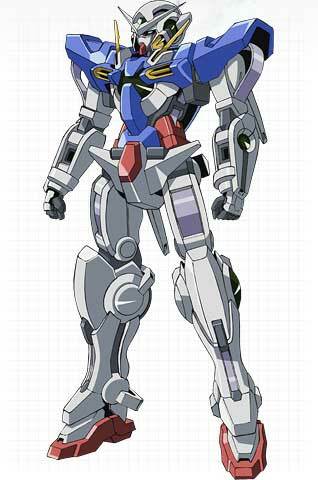 An example of which is the White of the Body, the 1/100 Exia's color guide says that its comprised of a mixture of 95% white and 5% neutral grey. 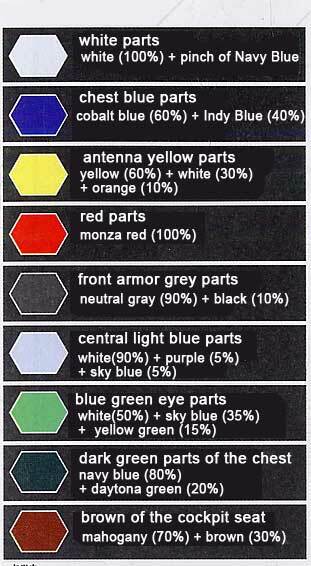 The 1/60 scale Exia's color guide says that the white of the body is a mixture of 100% white and a spot of Navy Blue. Guess this just shows that there is more than one way to skin a cat. The non-grade 1/100 Gundam Exia sells for about 2300 yen at Hobby Link Japan, 1610 yen at HWJapan, 2300 yen at Hobby Search, $$$ at Amazon 3rd party stores. The Master Grade Gundam Exia sells for about 3800 yen at Hobby Link Japan, 2660 yen at HWJapan, 3800 yen at Hobby Search, $$$$ at Amazon 3rd party sellers.